Meets and exceeds 2015 IRC, 2012 IRC, 2009 IRC, door and window manufacturers requirements, and ASTM 2112 07. Adjusts to your frame (jamb) size. Provides a level surface for continuous support of doors and windows and a slope for draining water to the exterior. 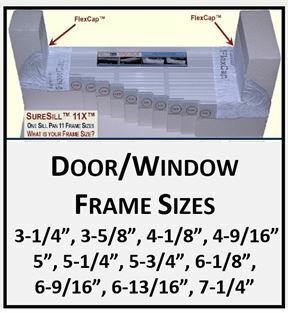 Designed to protect your windows and doors from moisture intrusion, eliminating the potential for rot, decay and mold. 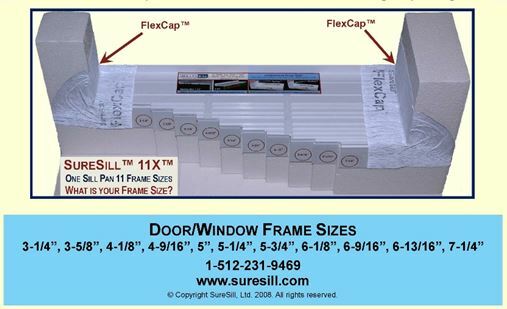 Flex-Caps are easy to align and assemble. 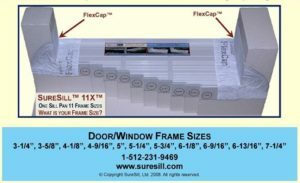 Designed for11 different door and window frame (jamb) sizes: 3-1/4”, 3-5/8”, 4-1/8”, 4-9/16”, 5-1/4”, 5-3/4”, 6-1/8”, 6-9/16”, 6-13/16” and 7-1/4”. Score and break as needed and insert spare front lip. 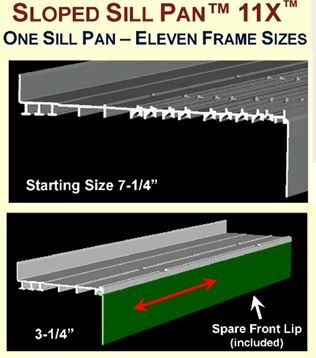 Protect your investment with a SureSill sloped sill pan for any door or window up to 12 ft. – 6 in. wide. Includes Flex-Caps as end dams. Can easily be cut to fit your rough opening.